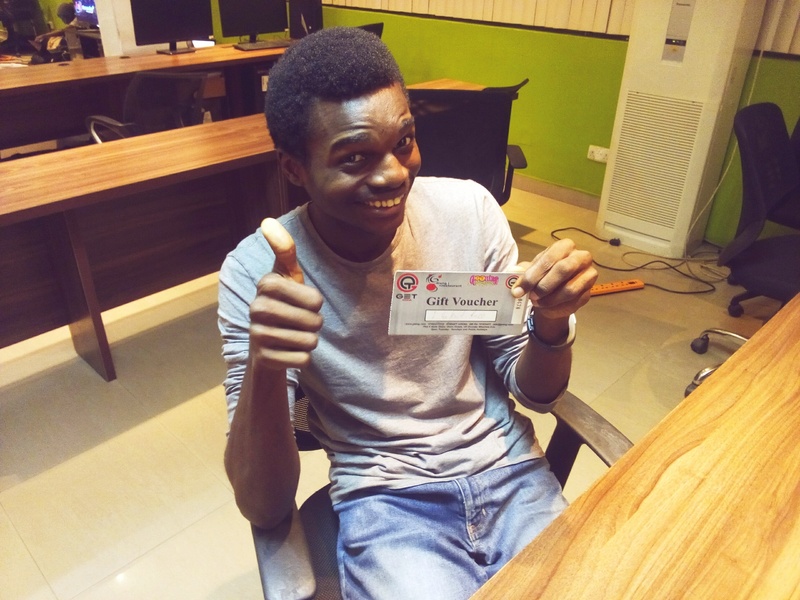 My name is Anosime, Community Manager at CcHUB - Science, technology and design enthusiast, creative writer, 2016 Olympic Gold Medal winner in the Kilishi eating contest and your eternal ask-me-anything guest. As events unfold, I’ll be dishing out activities to this community, and of course, a couple of opportunities every now and then. First of which is the exclusive ticket to the Interswitch API Jam.. There are no hard-and-fast rules to win but I expect you’d participate in the discussions and, possibly, in this thread. This thread is a laid-back thread so I am eager to hear from you too! Nope. The event is still open to teams. So, the ‘tickets’ are still available. Hallo!! Hope im not late o? Yay giveaway. I want to win. It’s time to announce the winners of our TGIF giveaway tickets to the Go Kart racing at the GET Arena, Lekki! Our winners are @abolajibisiriyu and @wonexo!!! Congratulations! Thank you for being active in the platform. Have fun! Awwww… Why do i come in late to discover this? Sorry, you missed it @temmyadex . There will be more as events unfold. Haha. The giveaway is a small reward for hard work. Sir I xo wish I can get to understand all that goes on around cchub…was there today bt din’t seem to get the perfect response.i Programm in Java basically bt M looking forward to android, been teaching my self though bt honestly it hasn’t been easy…v been taking a few lessons also in html css and a bit of php…light in dx country hs been a major challenge bt M trin to mk d best of Wt I Hv…checkd for a way to reach u personally, think dx is d closest I can gt…I ws tld bout d challenge too, bt ion knw Hw to go about it…nid Sm guidance pls…thanks in advance. Hello @Matthexx, Thanks for reaching out. About the challenge: from your post, I can deduce that you are requesting for how to join the community. At CcHUB, we run a membership model called the Challenge Membership, where freelancers can come to apply for membership for FREE as long as they can suggest a feasible approach to a challenge. There are different challenges available on the website you can apply for. Please visit bit.ly/the6thfloor and click on the challenges options to view which challenges you can apply for. Regarding, your programming challenges you mentioned, we are currently not running any programming classes but is you are able to get shortlisted for the Membership, then you can then have access to resources that can help you. Thanks alot Cchub for the Ticket. Awesome! Sure you had a good time.